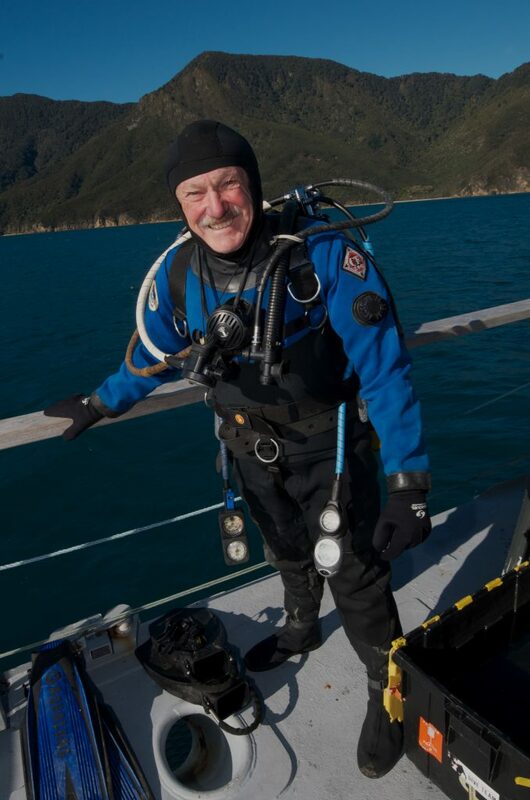 Dave Moran, renowned diver, magazine publisher and a key member of the team that created Kelly Tarlton’s Underwater World and took the concept offshore was inducted into the New Zealand Boat Show Hall of Fame. As well as diving and working with Kelly Tarlton, Dave Moran established New Zealand’s premier dive magazine, Dive NZ. He has also been instrumental in helping build and grow the New Zealand dive industry and teamed up with Sir Peter Blake to get Wyland, the famous US artist and marine conservation advocate, to paint the striking mural on Auckland’s Maritime Museum. Among the numerous awards he has received, Dave Moran was, in 1996, made a SSI Platinum Pro 5000 Card holder. This honour is only awarded to the most elite water explorers and the list of card holders is a “Who’s Who” of diving, containing the world’s most prominent dive professionals.